View More In Trailer Hitches. Made with a vehicle-specific design for a custom fit Tested for safety in accordance with SAE J684 Precisely welded for superior strength and fit Protected by a durable high-gloss black powder coat finish Co-cured in a rust-resistant liquid Bonderite coating Strengthened with a forged, welded, seamless collar Equipped with an open-back receiver for easy cleaning Backed by a limited lifetime warranty CURT class 3 trailer hitches are the lightest-duty hitches of our rear mount receiver lineup. They are engineered for reliability, welded together with quality American steel and blasted clean for a smooth finish. 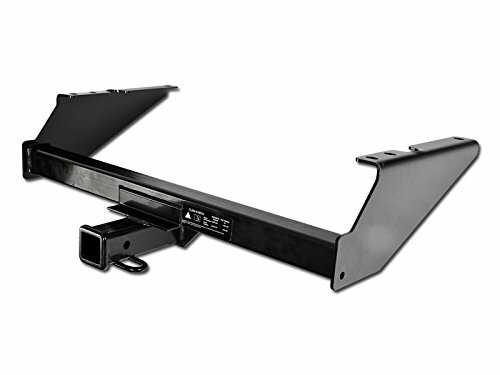 Tested to meet the strict demands of the industry, this CURT class 1 hitch has a capacity to tow up to 4,000 lbs. of gross trailer weight and 400 lbs. of tongue weight. This means it can handle a variety of small trailers such as single-axle utility trailers, canoe and kayak trailers, dirt bike trailers and more. It can also accept a hitch-mounted cargo carrier or bike rack, making it a very useful addition to cars with limited cargo space (NOTE; Never exceed the lowest weight capacity of any towing component; i.e. the vehicle, hitch, trailer, etc). If you have any questions about this product by Laige, contact us by completing and submitting the form below. If you are looking for a specif part number, please include it with your message.